No matter your skill and play level, if you were thinking of purchasing a ping pong table, you might have found it to be a pretty pricey investment. Ping pong tables might look very simple and easy to make, but in reality, they take time and along with a lot of material, effort, and even knowledge. Even when you look forward to making such an investment, there are still plenty of ping pong tables on the market in various price ranges. Will any ping pong table do? How do you know which one is worth the value and if it’s okay to pay the price it costs? In this article, you will find everything about the ping pong prices, types of ping pong tables, and even differences between them – so you can make a better decision according to your needs. The ping pong table prices range from a few hundred dollars to thousands, but how do you know how much you should spend? If you rely on your budget, you’ll end up wondering whether a ping pong table matching your budget is a good choice and whether you could get a better deal for just a bit more money. You should definitely pay attention to the budget, but you should also pay attention to your needs and determine which price point will suit your needs and even your skill level. From professional ping pong tables to ping pong tables suitable for re-creative use at home – do you know which type of ping pong table you are looking for? Some of the tables are made only for indoors use, while most outdoor tables are suitable for both indoors & outdoors use. Conversion tops are the cheapest way to get the game going without breaking the bank. Most people think that ping pong tables can be made for cheap, but if you try making one – you won’t just end up spending a lot of time, but also a lot of money too, right? The main reason for a price difference among ping pong tables is the wood used & the way the table is made (depending on the layers) as it results in a better ball bounce. Therefore, here are some average prices you can expect to see from the world’s most known brands in the ping pong industry. Of course, these numbers are just average, and there are much cheaper and much more expensive models to each brand. However, they’re a good way to determine the quality and the worth of the table. Also, the prices also vary because of the type of the table and the use of a table. Therefore, you should take all factors in the consideration when purchasing a ping pong table. Getting a very cheap table will result in a low ball bounce that will lead to an inconsistent low-quality game. Such table definitely won’t be good enough for competitive play, and it might even ruin your mood for occasional play. Are Expensive Ping Pong Tables Worth The Money? Expensive ping pong tables are definitely worth the price they cost, and here’s why. Everything from the frame, to the wood choice, thickness, coating, and even the size & dimensions is regulated by the ITTF. 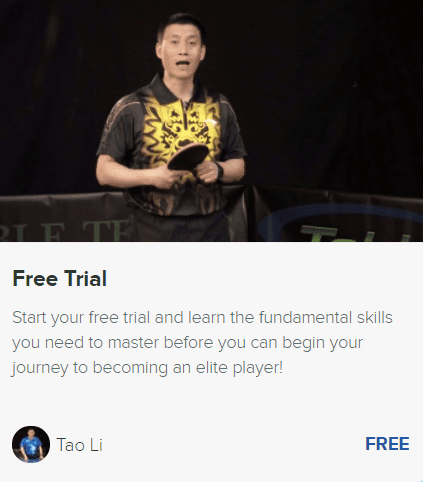 Meaning, the pricey ping pong tables cost a lot for a reason, and if you’re serious about your game & skill level – investing in such a table is the best thing you can do. We’ve done a quick calculation and came to the conclusion that making a quality ping pong table yourself that will be as good as the pricier ping pong tables – you would spend a lot of time & energy, and probably twice as much money. And that’s not the worst thing. The worst thing is that DIY ping pong tables can easily get messed up in the process of making, leaving you without a table & poorly spent money investment. If you have a look at different sports, equipment costs – and so does the ping pong tables. No matter how simple it looks, in reality, such tables are wisely optimized and created with a clear purpose on the quality. It’s true that high-priced ping pong tables could cost less if the retail costs are reduced, but without such costs, we couldn’t be able to purchase the table and get it delivered. The best way to find a table is to determine your budget and your needs, then save just a little bit more money, and find a decent ping pong table within that budget. This will lead to a better choice since you won’t be going for the low-end ping pong tables. STIGA Evolution VS Pro Carbon – Which One Is More Suitable? How Much Space (Room) is Needed for a Ping Pong Table?